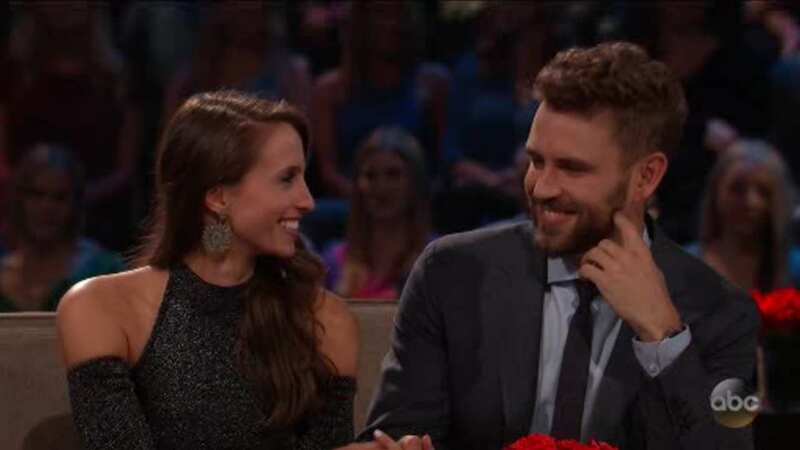 'The Bachelor' Nick Viall gets engaged! So who did he pick? 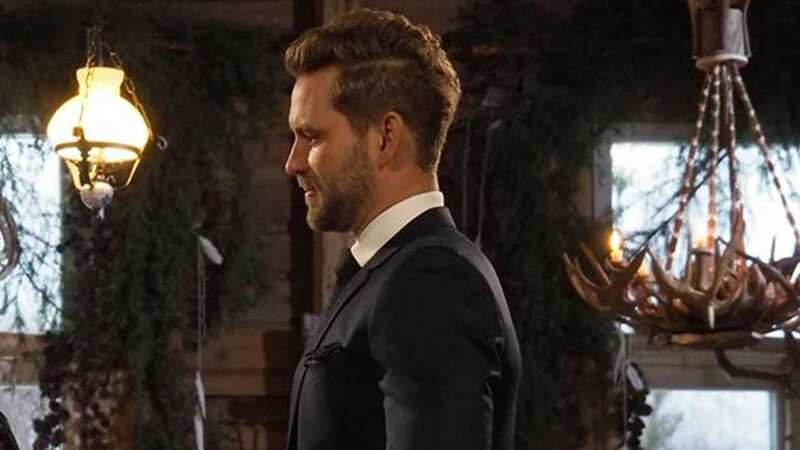 NEW YORK -- Will Nick Viall find love at last?! Viewers have been invested in Nick's love life for years now. 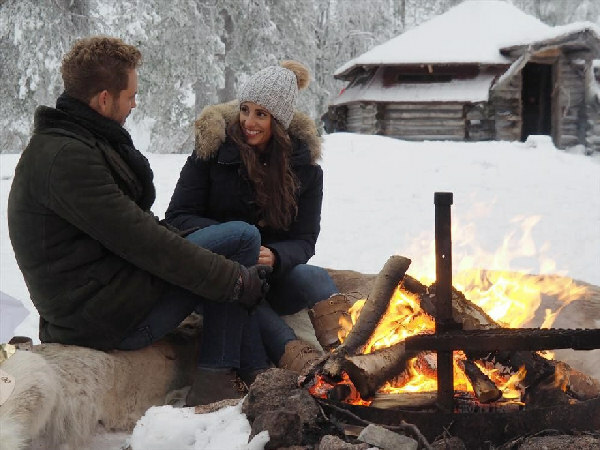 "The Bachelor's" journey for love came to a conclusion in Finland. It's freezing cold there, but that doesn't mean that he couldn't fan the flame of love with either Raven or Vanessa. Nick's family traveled there to meet his final two women and try to help him make the right decision. They are understandably skeptical after his last two appearances on "The Bachelorette" ended in heartbreak. Raven was up first and she had already met his family on a previous date to his hometown! They like her a lot, especially Nick's younger sister Bella. Raven is pinning her hopes on Bella that she will put in a good word for her with the rest of the bunch. She told Nick's dad that she is in love with their son and she wants to know if and when he fell in love with her. She also revealed that she is expecting a proposal. His mother found her to be an honest and true person. She just hopes that Nick isn't blindsided by proposing to someone and that person saying, "No." Then it was Vanessa's turn! She told his family the story about how she threw up on the zero gravity flight and how caring Nick was when she threw up. She started to tear up and Nick had to finish the story. Vanessa told Nick's mom that she can't say she's 100% ready to be engaged to him. She's worried that they might not be ready for "the next chapter," that Nick might not be ready either. Vanessa told Nick's sister that she's scared to uproot her life from Montreal to wherever Nick wants to live. She feels a lot of pressure to relocate. Nick told his dad that he's attracted to strong personalities like Vanessa's and he told Nick, "Well you haven't had a lot of success with that in the past." His father asked Vanessa if she's ready to get engaged and she told him that there's a lot of things they need to decide before she could say "yes." Nick's dad started to cry when they talked about what's needed to make a relationship work and then Vanessa started to cry too! They hugged and totally shared a moment. Nick gave Vanessa one heck of a goodbye kiss! The ladies had one more shot to leave an impression on Nick during their final dates. Vanessa was up first and they went for a walk in the snowy woods to some waiting horses. 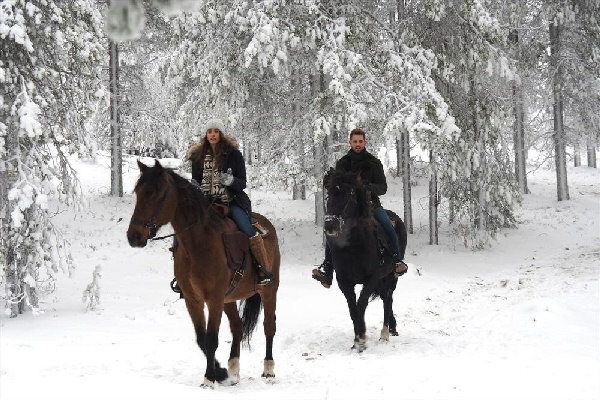 They rode the horses up through the mountains to an area filled with beautiful snow-covered pine trees. It kind of looked like the movie "Frozen!" They found a little cabin and knocked. Inside was Santa Claus! Santa invited them inside and they even got a present that is a heart with their pictures on it. It was adorable! After that, they sat by a fire and talked about their possible future. Vanessa told him that she doesn't want to win by a narrow margin, she wants to be sure that he's in love with only her. Vanessa cried because she's extremely confused about where she stands with Nick. That evening, they spent some time together in Nick's room. She told him it's scary for her to not have any of her questions answered. He played it off as he was leaving her hanging because he's being careful with his heart. She seemed to feel a tiny bit better, but was still internally tortured by the fact that she doesn't know if she's the one for Nick. He told her that he would not just "tell her what she wants to hear." Raven had her turn next. Nick met up with her in the woods and walked her over to an ice sculpture of a heart. Then they moved on to an outdoor ice rink! Raven loved it because the moment she fell in love with Nick was when they were skating together at the roller rink back in his hometown. Their date was light and breezy and full of laughs. Then they sat by a fire and sipped on some hot drinks while they talked about Raven's time with Nick's family. He told her that they just love her and how genuine she is. This date was far different from his with Vanessa. Is it just super fun, or is Nick not getting as serious with their conversation because he's not as serious about her. To top off their date he came back with two husky puppies! They were adorable! Raven said, "This is officially the best day of my life!" Later that evening, Nick visited Raven's room and they had some drinks. He gave her a toast to "allowing yourself to fall." Raven asked him how he was doing and he admitted that he was stressed and feels a bit sick to his stomach. She gave him a speech where she told him that "she's ready" and loves him and wants him to get down on one knee. Neil Lane trudged through the snow to a cabin to meet up with Nick. He opened up his suitcase of beautiful, amazing looking engagement rings! Neil was steering him towards the classic round cut, because it's classic and you can't go wrong with that. At long last, it was time for the rose ceremony. The ladies got ready, and then it was time to see who would arrive first. The SUV's rolled up, picked up the ladies, and first out was Raven! She walked in and told him that he looked great in his suit and he told her she looked beautiful. She started her speech to him and told him how much she loved him. His face looked so sad and she clearly didn't seem to notice that. He was on the verge of tears. He told her that he thought a lot about their time together, their conversations, he smiled as he recounted their memories, but then he said he just didn't know if he was "in love." He told her his heart was somewhere else. The tears streamed down his face as he broke the news to her. She told him that she'd never regret standing there telling him how she felt. As he walked her out to her SUV, all I could think was, that she forgot her coat. He put her into the SUV and it drove off. Raven is a great girl who will find the right guy someday. She's a class act. Vanessa walked in and Nick immediately started crying, but this time he had happy tears. He told her that he's been falling more and more in love with her throughout their time together. He told her, "I do love you, I'm in love with you!" He told her that, "So much about me being here has to do with my past, but when I'm with you, all I see is the future." That was a great line! Vanessa said that she thought there was no way that Nick would notice her that first night, but instead he's noticed every part of her. She said, "Thank you, for taking another chance on love." Nick got down on one knee and opened up the beautiful ring box and asked her to marry him! "Yes!" Vanessa said! They looked so happy and so in love! It was a beautiful moment! 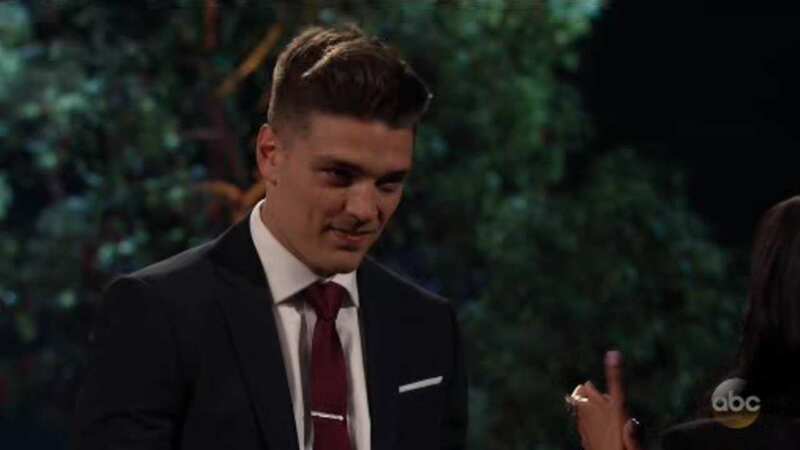 Nick offered Vanessa the final rose and she said "Yes" for the second time that day. The happy couple boarded a sleigh and rode off to start their together. But, will their love last? Did they resolve their issues about where to live? 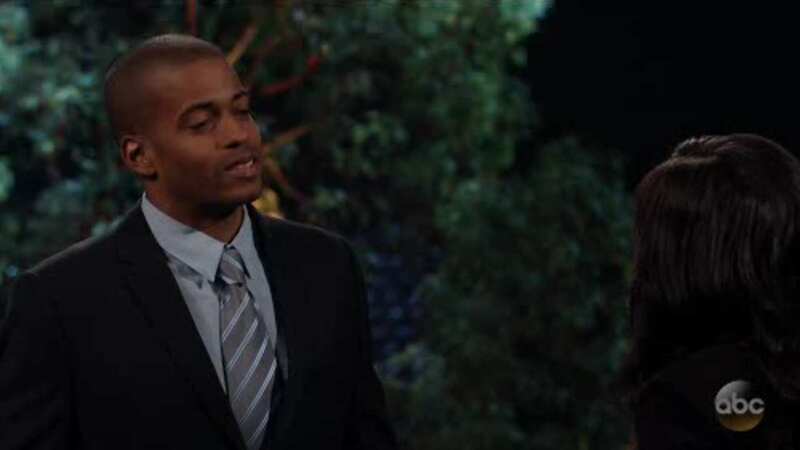 We hope to find out all of those answers and more in the "After the Final Rose" episode that followed. Raven came out to talk to Nick first and she said that she was quiet when he was talking to her because she was still processing what he was saying to her. Nick said he had no judgment against how she reacted. She said that she's happy for Nick and Vanessa and hopes the best for them. Then, Chris Harrison invited her to be on "Bachelor in Paradise" this summer and Raven accepted! So she's getting a second chance at love after all. Vanessa was out next and she said that they are still together, but there are days that being with Nick has been difficult. They are still living in two different countries. It was funny because she said they almost forgot to exchange phone numbers after the finale! They realized, wow, we have to really get to know each other now. Vanessa glowed as she talked about them being a team. They brought Nick out on stage to join Vanessa and they kissed each other in front of the audience. They said they are extremely happy to be able to be out in the open with their relationship and really begin their time together. Vanessa said she would relocate to LA and start a charity for people with learning disabilities while Nick is on "Dancing with the Stars." Rachel Lindsay, your new "Bachelorette" was out next, and she congratulated the happy couple and said she hopes the same for her future. Surprise! Chris Harrison trotted out some plants and the backdrop of the mansion. Rachel stood there as a few of the guys were there to meet her! Will that give them an unfair advantage? We'll see! 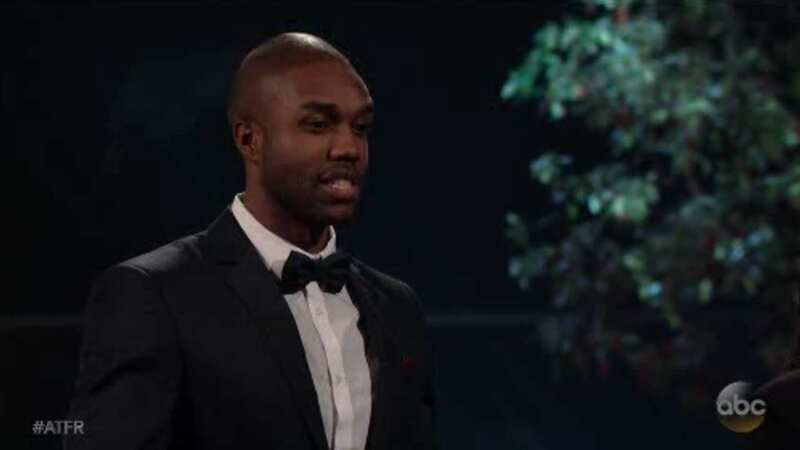 The first guy, Demario, came out and he was very sweet and he told Rachel she didn't need to look any further because he's the guy for her. He even had two tickets to Las Vegas and a diamond ring. Next was Blake who gave Rachel a big hug and he talked about how nervous he is. He told her that she looked good and smelled good. She said that she needed him to make her feel more comfortable and then they did a side hug and posed. Dean was out next and he told Rachel, "I'm ready to go black and I'm never going to go back." Eric from Baltimore was out next and he said, "You are from Texas, I'm from Baltimore, but we're both here right now." Then he kind of did some poetry for her and then they did some impromptu dancing together. It was cute. 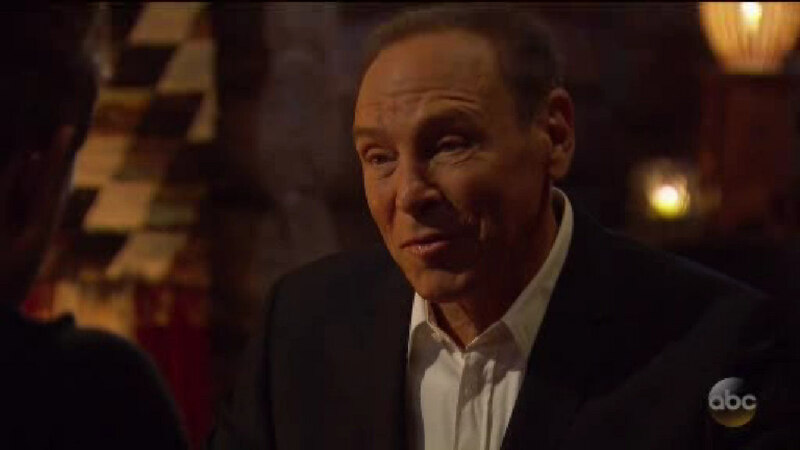 That's it for the big "Bachelorette" preview! Rachel was thrilled with the four guys she met, let's hope they all are as great as the few we just saw. Plus, we need to keep track and see if one of these four got an early edge!